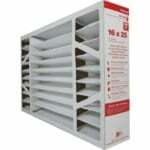 The The FiltersFast MERV13 Replaces Honeywell 16x25x5 FC100A1029 2 packis made of 100% synthetic gradient media. The fine carbon powder bonded to lofted polyester media is designed to ban odor. This Honeywell series filter has a media pack that is totally bonded to the frame. 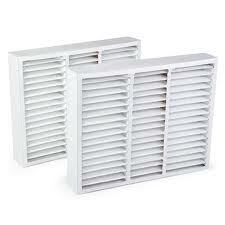 This 2 pack value set has a MERV 13 energy efficiency rating and captures particles as small as 1.0 micron. 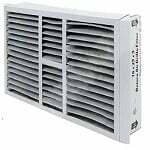 The Honeywell 16x25x5 Filter fits the following Honeywell Media Air Cleaners: Honeywell F25, Honeywell F27, Honeywell F35, Honeywell 16 x 25 F100 Series and Honeywell F200 Series. For optimum performance of your Honeywell Media Air Cleaner, replace your furnace filter every 6 to 12 months depending on air quality and usage. Installation is quick and easy.